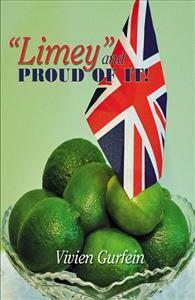 "Limey" and Proud of it! After bombings and WWII, America excites an English nurse; a family, modeling, then liberation from turmoil through remarriage, as artistic passions and zealous service, especially in Israel, blossom. Child of a liaison between an aristocrat and chauffeur, Vivien grows up wild in pre-WWII rural England until sent to a convent for discipline. Time is also spent with her grandmother, as her mother works undercover for England. While training for nursing and tending casualties during WWII, she meets the American doctor she will marry. Life is stormy, but exciting in America; raising a family and a modeling career, yet driven towards suicide by tensions in her tumultuous marriage. Liberated by remarriage and artistic passions given free reign, she zealously immerses herself in altruistic endeavors, including volunteer service in Israel. This book provides beautifully written insight into the life of one of the most amazing women I have ever known. Her history is as incredible and awe inspiring as her continuous day to day "joie de vive." At age 86 she continues to play tennis several days a week, travels, volunteers, paints, writes, educates, plays, loves, laughs, and lives more than 10 people half her age. The Doctors call her "The Enigma" because she is in such incredibly great health and is on no medication. I was blessed to have been raised by this woman who took pride in demonstrating her love for the arts, culture and history; her respect for others; her courage in the face of adversity; and her loyal commitment to her family. As much as I look forward to sharing this book with my 4-year-old Daughter, I am much more thankful for the fact that my Daughter will learn from and be loved by her "Grandma Vivi" in person for many years to come. As one of Vivien's daughter's I was always amazed and inspired by my Mum's positive, can do spirit. "Chin up", "mustn't grumble",this atitude turned negatives into challenges and opportunities. Service, and doing for others was always a big component in her life, preferring the human interaction and the written thank you card to the computer and email, she has seen more and done more, she chooses action rather than procrastination. She will be at the Queen's Diamond Jubilee. I admit that I was a bit put off by the price, but after meeting the author at a book signing, I was impressed with her upbeat personality. I purchased it and have no regrets. An inspiring read. What a life! It was like something out of a classic Hollywood movie. The pictures alone could tell the story. I highly recommend it.